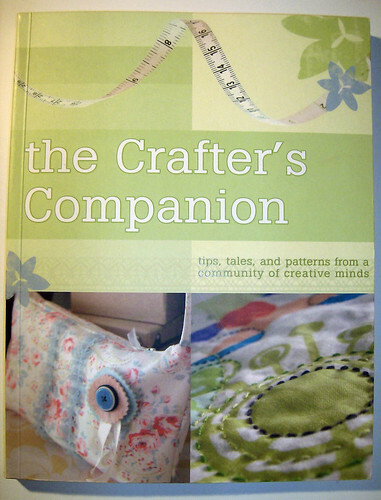 The Crafter's Companion - Tips, tales and patterns from a community of creative minds arrived on my doorstep a couple of days ago, so I thought I'd give you my two cents on the book. I read through the amazon.com reviews for it and quickly found that there were two kinds of reviews - people either loved the book or hated it. I think it has to do with the kind of expectations you have. If you are buying the book simply to get projects and patterns, you may be disappointed. Many of the patterns are pretty similar, and they are in no way revolutionary new ideas. I still found several projects that I like and will probably make in the near future (like the pretty and practical fabric basket that I know will come in handy in my tiny craft space) but I don't think the patterns alone would have made me purchase the book. The reason I bought it, and the reason I love it, is simple: inspiration! The main part of the book is not devoted to patterns or instructions, but to looking inside other crafters' studios and reading about what creativity means to them. Several contributors share stories about their childhood and their early crafting experiences. It's a great source of inspiration and encouragement! 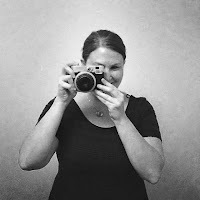 Many of the contributors are famous in blogland, and it's great to get a sneak peek into your favorite bloggers' everyday lives and hear the reasons they have for crafting. The beautiful photography is another big plus. The photos of various craft rooms and inspiration boards are my favorites - the first thing I did after putting the book down was reorganize my pitiful fabric stash and put some inspirational pictures up. So to conclude, if you're looking for advanced sewing patterns and original projects you might want to look somewhere else, but if you want to feel inspired and motivated to craft, this is definitely the book for you! Thanks for the recommendation! It looks really good...and I'm heading to the library today!